So You Want to Learn French? When I was six years old, I started to learn French in school. It was mandatory. And even though there wasn’t an urgent need to speak French in Brooklyn Heights where I grew up, I’m so thankful I was made to learn a foreign language. According to physiological studies on the benefits, it makes you a better multitasker, decision-maker, and English speaker. It also makes you less likely to suffer from dementia. The down side? It’s not easy to acquire any degree of fluency in a country where you can live your entire life without visiting another state, much less another country where English isn’t understood. Fast forward a few decades, and I’m finally fluent in French. It was an uphill climb. The way languages were taught in my school focused on the insidious rules of grammar. After 12 years of study, I could read every novel ever written by French Existentialists (Camus, Malraux, Sartre, etc.). I could draft a thesis on suffering and the human condition. But I couldn’t carry on a simple conversation with a native speaker or carry out any of the practical tasks of daily living: making a restaurant reservation, using a cell phone, welcoming friends to my home, watching a French movie without relying on English subtitles, etc. I should mention that I didn’t just sit around whining about my inability to do these things. I was proactive about rectifying the situation to justify my whining. I took classes at the Alliance Française in NYC. I spent two years of my youth in Montreal before realizing that the Quebecois accent is unlike anything I learned in school. 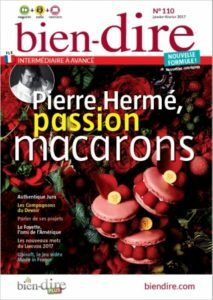 For years I subscribed to Paris Match, the French equivalent of People magazine. And those things helped. A little. Now I’m a big believer in foreign courtesy. To me, that means when you visit a foreign country, you at least try to communicate in the native tongue. That’s why I learned a smattering of Italian before visiting Italy, Swedish before visiting Sweden, Dutch because my extended family is Dutch, German because Germany is so big that sooner or later you’re bound to travel through it, and even Czech though I was hard-pressed to find a vowel in much of its vocabulary. It’s why I’m currently learning Japanese because I have a hankering to visit Japan (thank you, Anthony Bourdain and Parts Unknown). So after visiting France for the umpteenth time and feeling like l’idiot du village for my inability to follow a conversation in French that I could read and write with ease, I decided enough is enough. Trop, c’est trop ! I asked my manager if I could work remotely for a month, and enrolled in a four-week French immersion program in the South of France. A year later, my new manager let me spend three months working remotely, and I moved to Nice for the autumn. Every weekday I took classes at the Alliance Française de Nice, worked at my job in the afternoons and evenings, and then went out with French friends whenever possible. I learned French slang and French customs that they don’t teach you in grade school. I went to the movies and enjoyed French films without subtitles. I sat in cafés and debated topics for the sheer joy of being able to hold up my end in French. It was like waking up one morning and discovering that I could breathe under water. And then I came home. And felt everything I had learned start to slip away from disuse. Oh. Mon. Dieu. 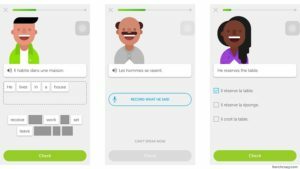 Download Duolingo on your phone or iPad or laptop, or whichever device you use daily. It’s free and it takes just a few minutes a day to learn the basics before progressing to more advanced topics. And there’s no homework! Subscribe to Bien-Dire magazine. It’s a magazine written in French specifically for English speakers (though it’s also available for speakers of other languages), from beginners to advanced learners. Each bimonthly issue contains articles about French history, culture, politics, etc. It comes with a CD so you can learn by listening, not just by reading. And each article includes a set of translations into English so you won’t have to keep a dictionary handy. Find a tutor. Some of my friends have tried Italki but I prefer Verbal Planet. It’s free to sign up, and you can search for a tutor based on several criteria— like where they live, which languages they speak, how many 5-star reviews they get, how much they charge, etc. Some tutors even offer free sample lessons and volume discounts. 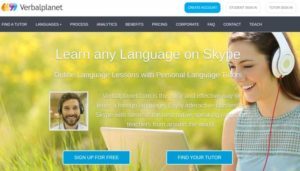 You schedule your lessons on the site and your tutor contacts you on Skype. I spent a year practicing French with Eric Jego who lives and teaches in Besancon, and he was outstanding at keeping my French current. Enroll in a class that focuses on conversation, not grammar. The whole point of speaking a second language is to be able to communicate in it. So unless you’re planning to limit yourself to pen pals, French conversation is the way to go. Community colleges and continued education programs can be a great resource for language classes. So are programs run by your local parks and recreation departments, or organizations like the Learning Annex. But be sure to do some online research to make sure the program you’re thinking of enrolling in is worth the time and money. Join a language exchange community. 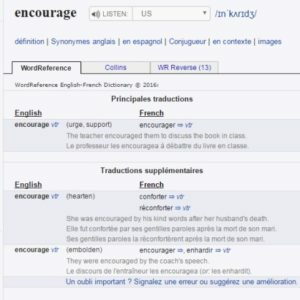 A friend introduced me to mylanguageexchange.com (it’s free), and there’s no shortage of native French speakers who want to practice their English in exchange for helping you practice your French over Skype. I’m fortunate to have friends in France with whom I do language exchanges, and I just acquired a new friend in this community. 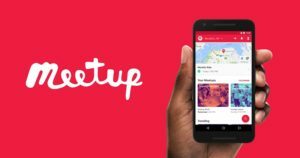 Join a meetup near you. Nothing takes the place of meeting face-to-face to practice a language. Again, signup is free. Just search on “French” within however many miles you’re willing to travel, and you’ll find meetups for francophones. Then buck up and go to one. Your first time will be scary if you’re an introvert like me. By the second time, you’ll be a familiar face and find yourself making friends who are as passionate about improving their French as you are. Find French friends. This is the one piece of advice given to me by another of my former French teachers. He told me that there comes a point when classroom training is less valuable than actually getting out and practicing your French. He neglected to tell me how scary it is too. But once you get over the initial hurdle of walking into a roomful of strangers and putting your ego on the line— because everyone makes mistakes when they’re learning another language— you’ll have so much fun that you won’t care. Find a really good dictionary. Some people swear by Larousse. I grew up glued to my paperback copy. And I don’t want a translation engine that makes mistakes. I want an online dictionary that I can carry on my phone, and which features a forum where native speakers contribute translations. That’s why I use Word Reference. It’s free, and it’s available in many more languages than just French. Plan a vacation to France. There’s nothing like giving yourself a forcing function to inspire you to take action by a certain date. Maybe your goal is to visit Paris in the springtime and be able to check into your hotel in French. Or visit the Riviera in the winter and chat with your Uber driver in French. Whichever location and accomplishment will excite you, make a plan and then make it happen. And one final word of advice. Do not start out by figuring out what you want to say in English and then trying to translate it word-for-word into French. It can get you into trouble. (Example: “I’m warm” translated word-for-word is “Je suis chaud(e).” Which means “I’m horny.” Want to guess how to say “I’m cold?” If you say “Je suis froid(e)” instead of “J’ai froid(e),” then you just confessed to being frigid. Oh la la.) 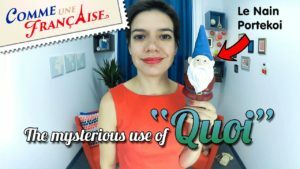 The sooner you start thinking in French, even if you feel like you’re creeping along, the more authentic you’ll sound. Oh— and whatever you do, don’t go to a meetup and default to, “I’ll just say it in English” when the going gets tough. If you’re there to practice your French, then practice your French. Bonne courage ! Special thanks go to awesome folks like Mike Colquhoun, Catherine Smegal, and Janine Lagardere Sullivan, who volunteer their time and energy to organize meetups for people like me to spend quality time with likeminded lovers of France and its language, culture, and customs. Especially when coffee or wine is involved. Merci à toutes et à tous ! So I retweeted the quote along with a snippet of Brian’s advice, and got to thinking about how long he and I have been out of touch. Great teachers are a rare commodity and a precious resource. Brian is one of the best teachers I’ve ever studied with. Ever. And his book is a treasure trove of information about how to write a great story. We had only a handful of minutes before show time to figure out how we knew each other, and we still can’t remember how we met. But we figured out that we both attended the Austin Film Festival the year that I was a semi-finalist in its screenwriting competition and Brian won the festival’s Sci-Fi Screenplay Award. I say something along the lines of how that’s probably the last time I saw Brian. And then the woman, whose name is Heather Hughes and who’s a successful screenwriter, pulls out her phone and shows me a photo of her good friend Brian’s recent wedding to his long-time girlfriend, who I had the pleasure of meeting in Austin as well. And all this is happening while Burt’s band is starting to warm up and he’s winding his way through the crowd to reach the stage. It all made me think about how exciting it is to stumble upon moments of serendipity, even if people wouldn’t believe the intertwining of coincidences if they turned up in a work of fiction. But a good mystery series, among which I hope to count THE KNITTING DETECTIVE, sometimes relies on serendipity to move a story along. Not always, but often because the protagonist overlooked an important clue, and the universe has to help him or her get back on track. 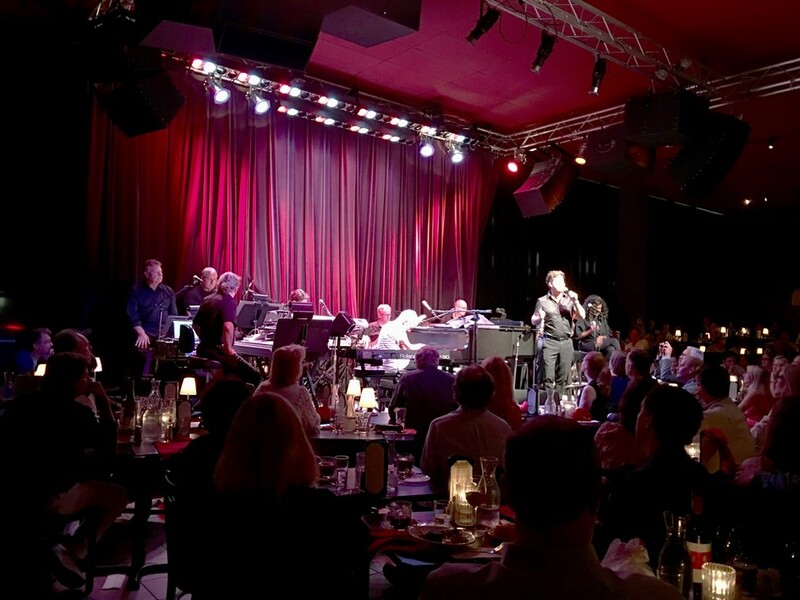 I’d love to thank Burt for an awesome night of beautiful music and magical nostalgia. And I’d love to thank Heather for recognizing me on her left when she could have easily spent the entire evening looking only at the stage on her right, and for initiating a lovely conversation. But the person I’d like to honor in this post is Brian McDonald. He gave me the tools I needed to tell beautiful stories, which has always been my life’s ambition. I just needed the right teacher to come along at the right time to teach me what I needed to know to set me on the path to achieving that dream. Now how’s that for a bit of serendipity? Blogging is a curious activity for an author. You’d think it would be natural for a writer to write a blog. It falls under the grisly heading of “self-promotion,” which stands just inches away from “I’d rather stick needles in my eyes” (for me, at least.) But if it helps reach readers and entertains you along the way, then let’s take the plunge together. And let’s make it fun and addictive for you to read. But I’d like to start by thanking everyone who visits this blog, takes the time to read it, bookmarks it, shares it, or comments on it. And because the idea of “it’s all about me” is kind of true, but is equally cringe-worthy, I plan to end each blog post with a shout-out to someone who I admire and who has helped me along this journey. And what better person to start with than another author, who I’ve only had the pleasure to meet over email to date, and whose book Writing and Selling Your Mystery Novel helped me transform Chapter 1 of my manuscript from a bit of a hot mess to an opening that passed muster with my editor? Thank you, Hallie Ephron! I look forward to meeting you later this year!